To be clearly visible, laser rays need to be spread out a little. To achieve this goal you need a Hazer with the special liquid that generates the necessary smoke. Commercial liquids collapse to ground too quickly to be used successfully with Laser Harps. 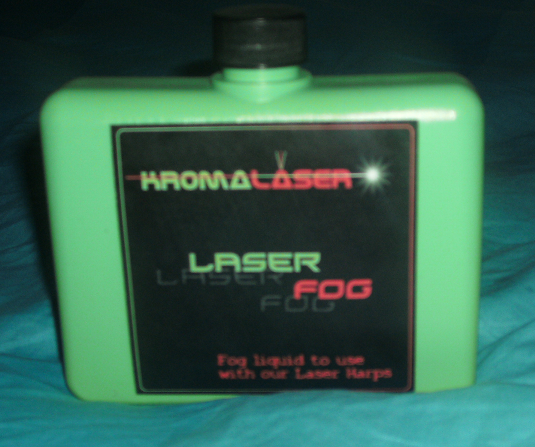 We created and patented a new kind of Fog/Smoke liquid. It generates a fog that floats on the air for a longer time. It reduces consumption of the smoke/fog and it increases the impact of your performance. In the picture 500ml of LiquidFog. The minimum quantity we sell is 1lt.